Public libraries are a wonderful asset, especially when you have little ones to keep entertained. They offer story times, music classes, art classes, and of course have shelves overflowing with books on endless topics. I love utilizing my public library. I take my little boy to story time and he listens attentively to all the books. He is quite passionate about reading even at only 18 months old. We (yes, Mommy too) learn new nursery rhymes and the hand motions to go with them. All the while, I get to socialize a bit with some of my new friends, share parenting challenges and successes, and trade-off some non-judgmental mommy advice. I am so blessed to have a very supportive network of local moms. Together we attend story times, breastfeeding support groups, play groups, and even sneak in a Mom’s Night Out every once in a while. My little guy and I stay quite busy and I wouldn’t trade a single moment of our daily hustle for any other life! With that said, public libraries are phenomenal! 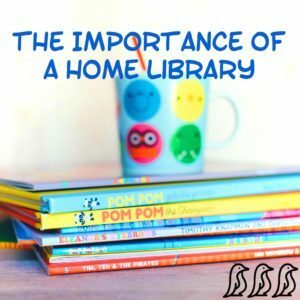 So why the big emphasis for a home library too? Remember, I just said that moms are busy! I most definitely don’t need to add returning library books to my calendar. Especially when the consequence of missing the date is a late fee. I’d rather just spend those late fees by adding permanent books to our home library. 2. You can read your home library books at any time of day or night. If it is raining, you can stay home and read a good book. You can read in your pajamas or inside the fort the kids built on their snow day. You can read your favorite book for the tenth time while on vacation. You can read outside on the front porch or inside in the dark with a flashlight. In our home, there is a pile of books in every room that my son frequents throughout the day. He plays with his books on and off all day long. Either reading independently or bringing Daddy or myself a book to read whenever he pleases. 3. Kids learn in a variety of ways. It’s part of what makes us all unique. Some are auditory learners and learn simply by listening to the text of a book. Others are visual learners and need to see topics come to life to facilitate learning. While yet another set of kids are kinesthetic or tactile learners. These children need to touch, feel, and interact with the material to learn it. They devour sticker books, coloring books, wipe clean books and touchy feely books. Your children will be able to actually use and interact with the activity books in their home library collection! As parents we need to make sure we cater to all three styles of learning. 4. It doesn’t matter if your kids are rough on the books in your home library. If a page gets ripped, tape it up. If a binding breaks, again tape works wonders! If a flap gets ripped, use a little Elmer’s Glue. If their favorite story book becomes a coloring book? Well, I don’t have any good advice to remove the crayon from the pages, but its a great teachable moment. If I haven’t quite convinced you yet, I’m going to turn to the cold hard facts. Here it goes…. Children who have greater than 500 books in their home library collection receive an average of 3.2 more years of schooling. The presence of a home library is the most influential variable when predicting number of years of schooling, more than socioeconomic status and the profession of the father. Buy new books when you buy new clothes. It’s likely that if your child’s arms and legs have grown out of their clothing, then their brain has also grown out of their books too! Buy used books. Search the “For Sale” shelf at the public library, shop on E-bay, and search your local thrift store and used book stores. Grab a good book on a bargain whenever you can! Trade. Set up a book swap with a local moms group. A book that your little no longer picks up off the shelf is still filled with a world of wonder and excitement for someone else! Find a book lady. There are thousands of women out there who work hard to support children’s literacy. Search one out, ask questions, and let her guide your book buying decisions. Getting relevant and engaging books into children’s hands is her passion! Now that your shelves are full of books, it is important to foster an environment that encourages reading. Children learn by modeling so pick up a good book yourself and dive right in! Create a special spot in your home dedicated to reading and relaxing. Check out my other article for a fun tutorial on “How to Create the Perfect Book Nook.” Finally, never stop reading aloud to your children. Not only is reading together a great bonding experience, but it promotes literacy and helps to your child build necessary skills for future reading and learning. Catherine lives in Wilmington, DE with her husband, John, and 18 month old son, LJ. She is an Independent Consultant for Usborne Books & More. 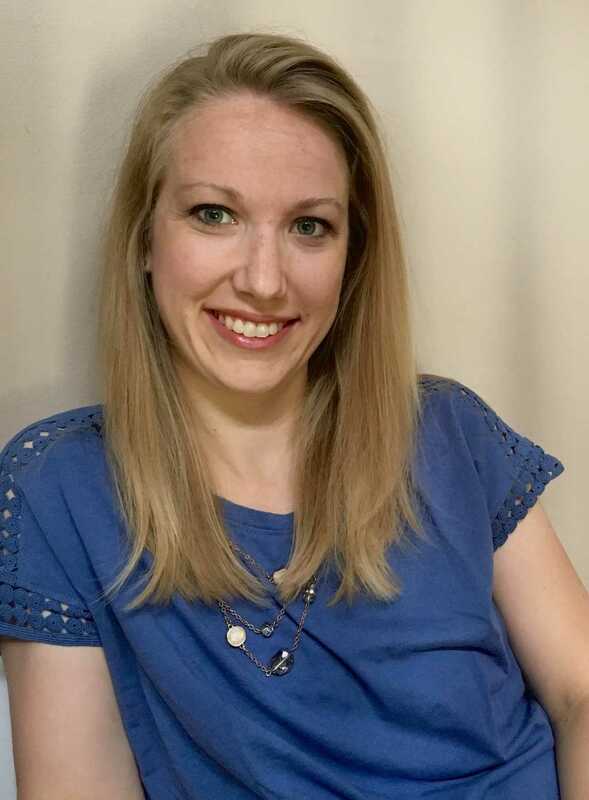 She is passionate about getting children engaged in purposeful reading and positively impacting children’s literacy.